“Divinity,” our signature cross to honor a loved one who’s passed, is designed to bring families together. 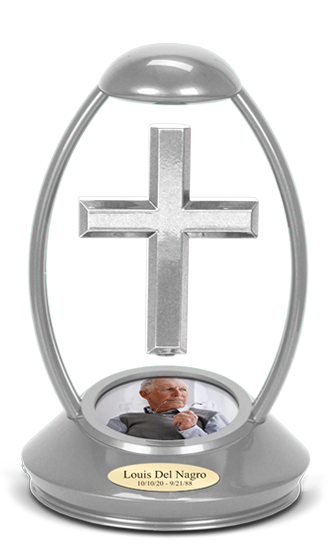 Once the “Divinity” cross is purchased, the family is tasked to choose a photo of their loved one, place sacred items in the drawer, store keepsake ashes, and determine a permanent place in the home to display. “Divinity” is the spiritual centerpiece of the home. 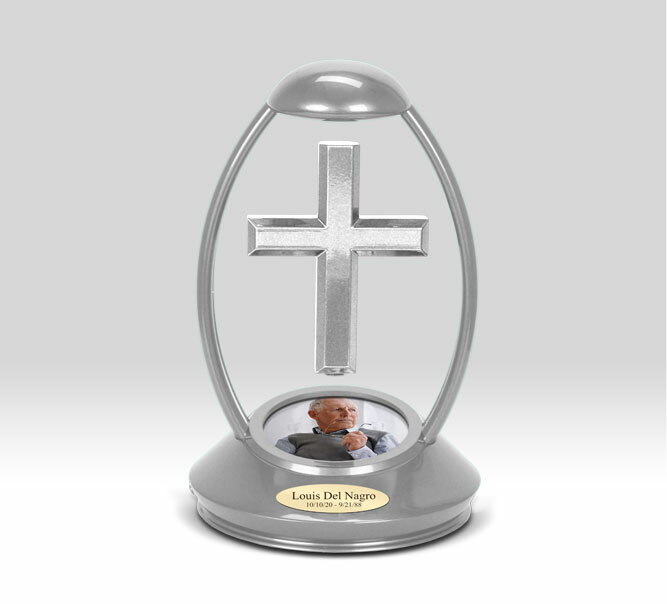 It is also a conversation piece to keep the one’s who’ve passed present in their daily lives. With our product, they are no longer just a memory. With “Divinity,” the consumer can see their loved one every day. They can swap out a new picture every year. They can relocate the cross onto the dinner table during Thanksgiving, in the family room during Christmas, or in the living room to honor a birthday. It is a product of remembrance. A divine gesture regarded by a higher power. This is what “Divinity” is all about. “Divinity” is designed to honor a person who has recently passed away. 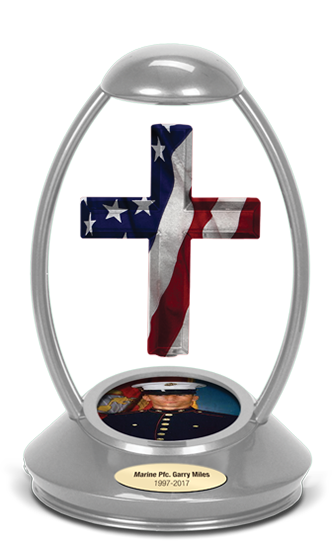 Loved ones are encouraged to display their favorite picture, make a personalized name plate, suspend the levitational cross, and display in the home where the loved one can be admired by all. “Divinity” is a product that keeps their memory alive forever. “Honor” was created to honor a loved one who is currently serving, has served, or is about to serve in the United States Armed Services. 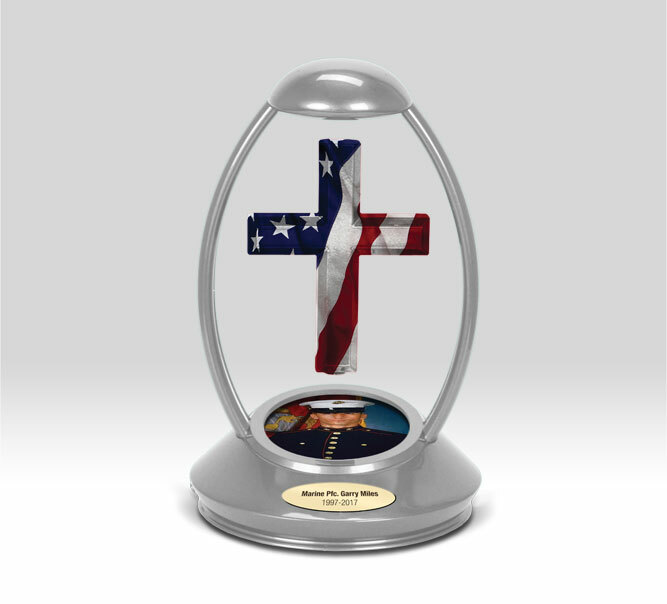 Although “Honor” is a keepsake urn, it is often displayed as the military centerpiece of the home while loved ones are actively serving. It is a reminder of those brave men and women who keep our country safe. “Loyalty” is a bone cross designed to honor man’s (or woman’s) best friend. Dogs are part of the traditional American family. 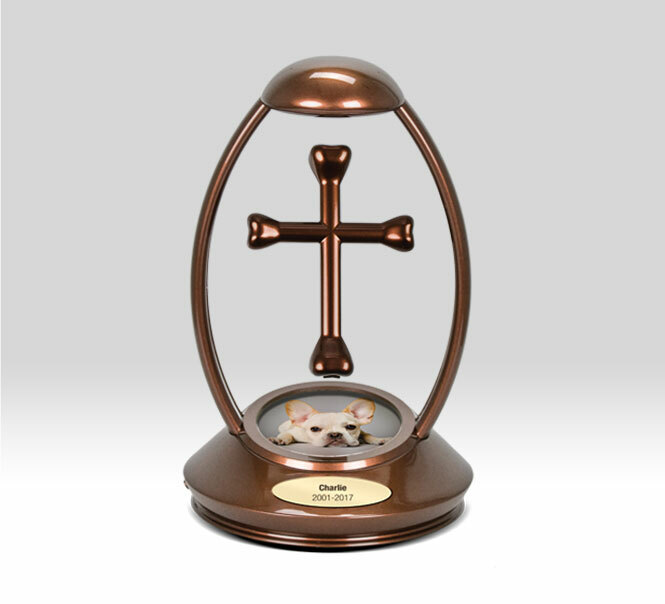 Pet owner’s have been very outspoken about wanting something more spiritual to remember their fallen pet. “Loyalty” is the epitome of unconditional love and is the perfect gesture to show everyone how much our pets have meant to us. “Loyalty” is a bone cross designed to honor man’s (or woman’s) best friend. Dog’s are part of the traditional American family. 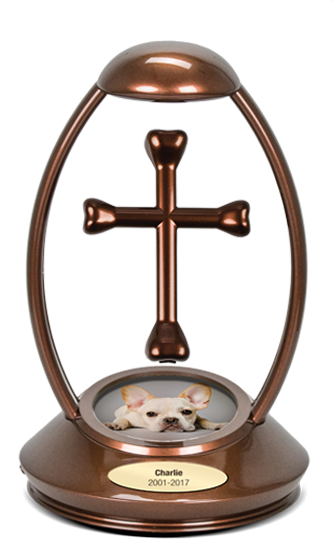 Pet owner’s have been very outspoken about wanting something more spiritual to remember their fallen pet. “Loyalty” is the epitome of unconditional love and is the perfect gesture to show everyone how much our pets have meant to us. 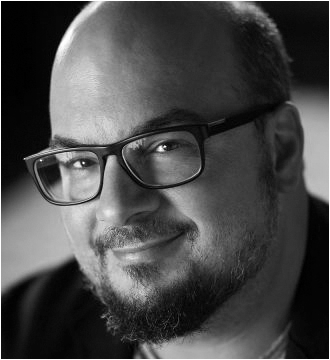 Mr. Zuiker is an American creator and executive producer. He is best known as the creator of CSI: Crime Scene Investigation. He produced all four editions of the CSI franchise: CSI: Crime Scene Investigation, CSI: Miami, CSI: NY and CSI: Cyber. Besides his work on CSI, he created the murder mystery show Whodunnit? with Chris Abrego for ABC. Mr. Zuiker was also the creator of Cybergeddon for Yahoo!. He received a 2013 Pioneer Award from the International Digital Emmy Awards for Cybergeddon. I lost my father to suicide in 2006. Estranged from him almost since birth, I truly have no noteworthy memories of us. I can’t remember him ever pushing me on a swing. 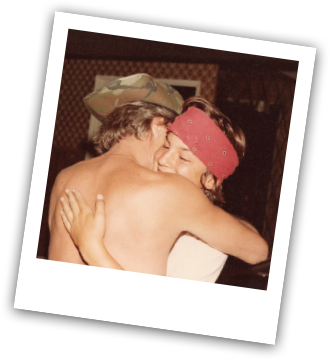 I never felt his heavy arm around my skinny shoulders. I cried every Christmas Eve when he’d never call. I spent my whole life trying to get him to love me. But I realized a painful lesson about life and loss. Just because you love someone… doesn’t mean they have to love you back. Now, all I have is heartache. Heartache of a grown man with a boy’s broken heart. Years later, I decided to invent the “Divinity” cross to ease my own pain. Now, my father rests in peace in my home. I can see his face everyday. He’s back in my life… in my heart… in my soul. I invented “Divinity” for you and your loved one. It is for those who have experienced loss on a deep level, but never want to forget the one’s who’ve left us too soon. I hope this spiritual center-piece of the home heals you like it’s healed me. Anthony E. Zuiker – Founder of The Levitational Co.
Warmest regards, Anthony E. Zuiker – Founder of The Levitational Co.